While new policy will help boost India’s ambitious growth plans, tapping into one of its greatest assets - its population - is vital. India is the home of the paradox, a place where a single fact can be interpreted in two opposite ways with each carrying weight. This explains why, although the financial year of 2015-16 saw 223.61 million passengers take to the skies in the country, an increase of 17.6% year-on-year, there is still much work to do. After all, in a country of 1.33 billion inhabitants, this represents a penetration of 0.4 trips per head and is considerably less than a country like the US where the figure is two trips per person per annum. However, Airports Authority of India (AAI) member of planning Sudhir Raheja only sees the figures in a positive light, describing the recent growth as “impressive”. He adds that it was largely driven by the domestic market, which at 168.89 million passengers is three times the size of the international market’s 54.72 million passengers. He admits this balance might soon change. While the increase in the domestic market is 21.2%, compared to the international market’s 7.7%, the annual growth rate is expected to drop to 12% per annum, with the international growth rate expected to hit 8%. But the AAI must move quickly if this growth is to happen. Currently the country’s airports have a capacity for 250 million, which is little more than 10% spare. For the projected growth to continue, India must have additional capacity in place within a couple of years. While its passenger numbers can be viewed in two separate ways, so can its airstrip numbers. Although the country has a total of 476 airstrips, the gloss disappears when it is revealed that as many as 350 are non-operational at the moment, while 31 airports also remain unused. The core of the country’s airlift network is under the control of the AAI which manages 125 airports, including 11 international airports, eight customs airports and 81 domestic airports. However, only 75 of these airports have a scheduled airline service. Where some people might see a half-empty glass, Raheja is resolute that the glass is half full and that the current growth is not only high but sustainable. More importantly, he believes the industry, which is the ninth largest in the world with an annual value of $16 billion, is well placed to meet its target of being the third largest aviation market by 2020 and the overall biggest by 2030. He adds: “India has a strong 300 million middle-income group with disposable income to travel at least once in a year by air. India’s strong economic growth projections are likely to ensure the sustenance of traffic trends both in passenger and cargo. “AAI is therefore working zealously towards enhancing capacity to meet the projected growth,” he says. In order to do so, Raheja admits there are a number of problems specific to India that must be overcome to ensure the country meets its targets. Firstly he admits the AAI must do more to ensure its own airports are fit for purpose, especially as of the 125 under its care, only 94 are operational. Worse yet, while 31 are non-operational, there are huge discrepancies among those in use, as 45 airports in India handle more than 90% of passenger traffic. Raheja says this problem is typified in the AAI’s current airport development programme which has seen 60 airports pass through it. “Out of these, the capacity at 10 airports which was enhanced to 30 million passengers per annum, has already reached saturation point. They require further augmentation,” he adds. While the AAI has its own work cut out, Raheja believes there is only so much it can do without the help of powers greater than its own. He says: “Basically there are important issues like non-availability of land for airport development which require support from central and state government. Many airport projects have been delayed due to non-availability of land. Just as the authority is crying out for further funding, there are also calls for a cut in taxation as India faces a problem shared by many still developing their own aviation markets. He believes the same goes for over-taxed passenger tickets, adding: “They should consider... lowering other taxes on air tickets in order to popularise air travel with the masses. He also argues that the government must continue to work hard to maintain security levels at India’s airports, especially with the widespread prevalence of global terrorism. “The world watched in horror how Brussels airport was attacked by suicide bombers in March. We can’t allow any such incidents in India,” Raheja adds. Other issues the industry faces include a lack of skilled resource following a KPMG prediction that, by 2017, India’s aviation market would need a 120,000-strong workforce, ranging from pilots and engineers to cargo handling staff and cabin crew. However, Raheja is optimistic and believes the goverment is already moving in the right direction on a number of issues. He believes a pledge by the government to invest $120 billion in airport infrastructure over the next 10 years will coincide with other factors to ensure growth predictions remain on track. Legislation is also changing to help drive the sector with the 2016-17 union budget including proposals to end customs and excise duty on all tools used for maintenance, repair and overhaul operations for aircraft. Elsewhere, the ministry of civil aviation has approved in principle the creation of 15 greenfield airports, including Navi Mumbai International Airport and Goa Mopa Airport. Work is starting this year on both. Foreign direct investment ownership has also been increased to 49% while foreign equity levels in airport development are now set at 100%. Liberalising bilateral traffic rights should also help drive international traffic growth, Raheja believes. But most importantly of all, he argues the passing of the New Civil Aviation Policy in July this year by the Indian government will prove key to helping regional route development. Perhaps this is where his optimism lies when confronting the paradox of the Indian aviation industry. There might be many problems but none of them are insurmountable, especially now as the government appears to be waking up to the benefits of the need for change and is demonstrably doing so. Providing the growth remains intact, it should help solve penetration issues, meaning the people of India will be the key beneficiaries. Now it just remains to be seen if the sub continent will have the busiest market come 2030. While there are obstacles facing the future of India’s aviation industry, there are reasons to be cheerful too, 223.61 million of them. That was the total passenger throughput in the AAI’s 125 airports for the 2015/16 financial year, a year-on-year growth of 17.6%. The increase was driven by domestic traffic which saw a 21.2% boost to 168.89 million passengers while the international market saw respectable growth of 7.7% to 54.72 million in the same period. This makes India the world’s ninth-largest aviation market and it is aiming to be the third largest by 2020, when the number of aircraft India’s airlines are predicted to operate will grow from 450 to 1,000. A report released by the International Air Transport Association (IATA) in January 2016 reveals much of this will be driven by one of India’s greatest assets, its own people. The report states: “India’s aviation industry is largely untapped, with huge growth opportunities, considering that air transport is still expensive for the majority of the country’s population, of which nearly 40% is the upwardly-mobile middle class. The report adds that, with the right policies and relentless focus on quality, cost and passenger interest, India would be well placed to achieve its vision of being the largest market globally by 2030. Domestically, AAI member of planning Sudhir Raheja believes the National Civil Aviation Policy 2016, which was approved by the government in July, should help iron out some of the discrepancies. “The startling fact is that 45 airports in India handle more than 90% of passenger traffic. Most of the passengers fly between metro cities and there is minimal passenger footfall in regional and remote airports. “Therefore, it is envisaged that new civil aviation policy, and especially the regional connectivity scheme, will boost air travel in these smaller cities, so balancing air travel across India,” he adds. Internationally, neighbouring and developing countries in the Indian subcontinent, the Middle East, Africa, Brazil and south-east Asia will also help drive much of the growth. This is especially since the overseas market should also get a boost from the new civil aviation policy which now allows domestic carriers, like Vistara and AirAsia, with more than 20 aircraft, to operate international routes. 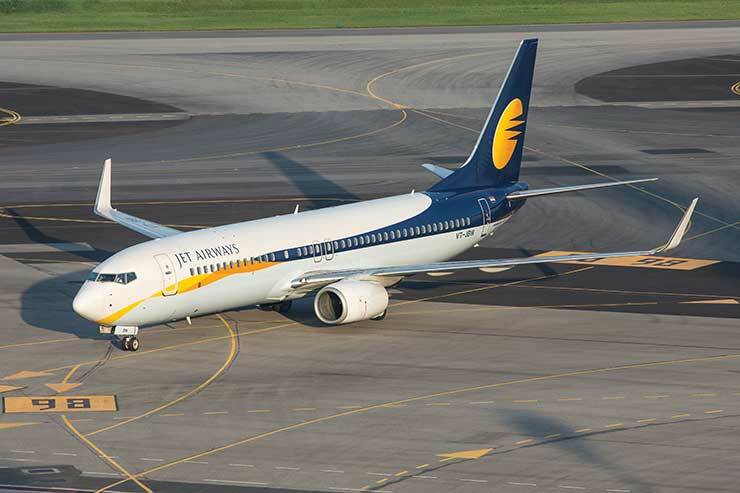 While growth in both sectors is important, Raheja remains unconcerned about the type of airline that delivers it, as keen pricing is blurring the traditional dividing points between the different airlines. “From the AAI’s point of view, we would like both the schedule and low-cost carriers (LCCs) to grow to cater all kind of passengers. The new chairman of the Airports Authority of India (AAI) Dr Guruprasad Mohapatra took up the role in July. He joined the authority from the department of commerce in government of India where he worked as a joint secretary. Previous to his roles in the public sector, Mohaptra has also gathered extensive experience in the public sector too having worked extensively in the power sector, urban development and industry. He has also led companies in the chemicals and fertilisers sector and helped oversee a turnaround in the city of Surat where he was municipal commissioner from 1999 to 2002.